I was in Berlin for the past 10 days where I had an excellent time in many aspects. But guess what? I came back with a mild fever! It hasn’t gone above 38, but it’s enough to keep me away from cycling and training for the big ride. And of course my biggest worry is that it may evolve to something more serious, which may postpone myÂ depart. With just two weeks to go and loads of things to arange, this is definitely not good thing to happen. Along with many other things, I was planning to go for a day ride in Kent this week to try out some of the new gear, but now I don’t see it happening. This entry was posted in Pre departure and tagged problem on 04/08/2009 by Georgios. Yesterday I went for a short ride in Salisbury. The Destination was the Sculpture Park at Roche Court in Winterslow, which is located 14 km outside Salisbury. I got there by train and then made my way to the park through the little roads of the countryside. The total route was only 30-40km plus another 15 in London, but it was good enough to try out the all the new gear I’ve bought for the bike. Some of them work great, some others not as much. The park it selfÂ is definitely worth a half a day trip. It has many nice and big sculptures, spread around beautiful countryside. 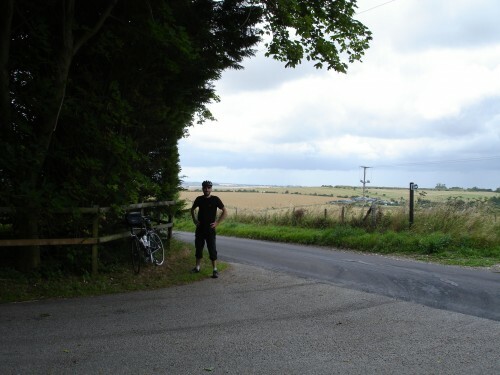 This entry was posted in Pre departure and tagged cycling, training on 17/07/2009 by Georgios.